My family LOVES cheesecakes, so to make a low-carb no bake blueberry cheesecake was a brilliant discovery. My daughter loves to whip this up, sometimes without a base and poured into teacups. 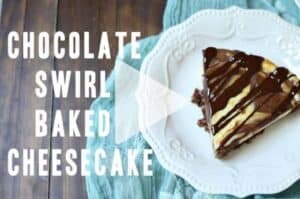 UPDATE – Scroll below to watch my new quick cooking video to see how you can make this tonight. 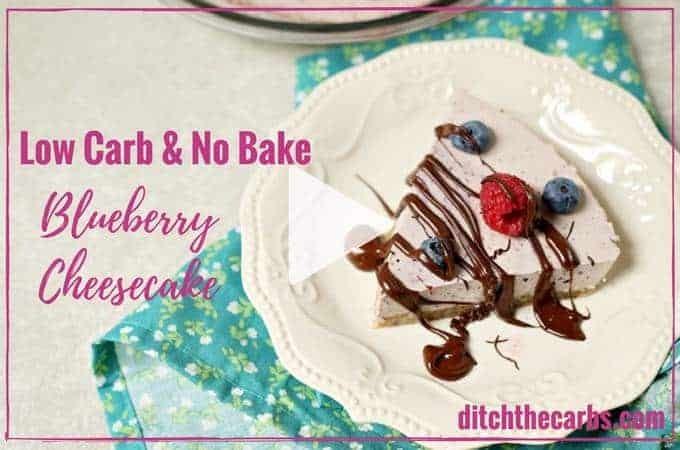 This was one of the very first low-carb desserts I ever made and is popular with beginners who want something quick and easy. Low-carb no bake blueberry cheesecake can be ready on your table by tonight. 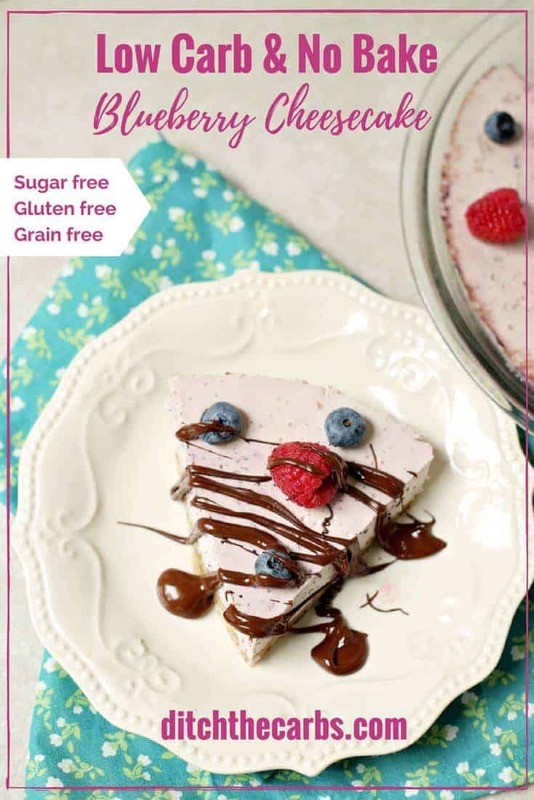 Top Tip – to make the low-carb no bake blueberry cheesecake set oven qaster (in a cheesecake emergency) simply push some frozen berries into the dish and it will set super fast! I don’t like the sweeteners that come in sugar-free jelly/jello, so I use gelatine, sweeteners I can trust and flavouring. At least this way I know exactly what goes into it. But if you are a beginner, and just want a super easy version, you can use 2 sugar free jello boxes. See recipe notes for more details. I tend to only use sugar-free jelly as a last resort and prefer to use my own sweetener and gelatine, but for those starting out, this is a lifesaver to help you get off sugar and feel full again with the cream cheese. No bake low-carb blueberry cheesecake is perfect for beginners. There is no need for a base and these can be made as one large cheesecake or poured into little individual teacups. Mix the melted butter and sweetener together. Add the almonds and coconut, then press into a greased, lined flan dish. Refrigerate whilst making the topping. 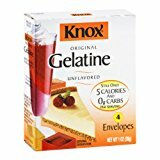 Dissolve the gelatine (or jello boxes) in 500ml / 2 cups boiling water. Add the cream cheese, sweetener and flavouring. Mix slowly to begin melting the cream cheese then use a stick blender with the blade attachment to get it really smooth. 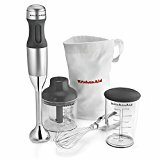 Using the blade attachment on your stick blender, puree the fresh/frozen blueberries until smooth. Fold the blueberries into the cheesecake mixture and stir until thoroughly combined. Add fresh berries and melted chocolate (optional) to garnish. An alternative version is to replace the gelatine, sweetener, flavouring and berries with 2 boxes of sugar free jelly/jello. Some other ways readers have made my low-carb no bake cheesecake. The teacup cheesecakes were made without the base from the recipe, it makes the recipe even lower carb and super fast. Garnished with blueberries and blackberries. Just a little confused on the amount of cream cheese. Recipe calls for 1.1 lb. The video looks like one package was used. I have only seen cream cheese in 8oz pkg. Could you please explain to me as I want to make it but unsure of amount used. I wonder if you can suggest an easy way to make this nut-free? I imagine coconut flour but not sure how to work that. Easy peasy, make it without the base! Seriously, pour the mixture into little tea cups or ramekin dishes. It makes for a much lower carb dish AND saves time and money – yay. Can I use coconut powder to replace shredded coconut? How Big is the flan dish in cm ? I live in Denmark. In the movie it looks like you dont use all of The cream cheese/berry/gelatine mixture. Is that correct ? That dish turned out to be too small but the filming was already underway so we couldn’t change it to a larger dish. Yes I would usually include all of the filling. Thank you. How Big a dish in cm shall i use? I am allergic to coconut. Is there any replacement for it in the crust? Also, I cannot locate berry essence in my grocery. What is it exactly? This is a nice crust that only uses almond flour/meal. It is chocolate too which would be a lovely base for those cheesecake. Alternatively, you could easily omit the cocoa powder and add some more almond meal/flour. As for the berry essence, it may be called raspberry flavour, or similar. It gives a lovely berry punch to the cheesecake. if you can’t find it, why not use 2 boxes/sachets of jelly/jello instead, rather than berries, gelatine etc. That would be a super easy cheesecake to make. Each sachet should make 500ml using the packet instructions. 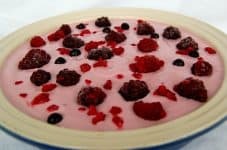 I use raspberry essence (see it here) to boost the berry flavour of the cheesecake. I usually avoid recipes with gelatine, but I decided to give this a go with strawberries instead of blueberries. I just found that it didn’t have much flavour because of all the gelatine and water. 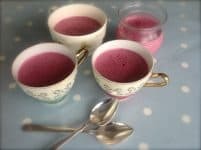 It didn’t help that I didn’t have berry essence and I didn’t blend the strawberries enough to get their flavour through the mixture – it was hard because it was so wet. Is it really necessary to add so much water with the gelatine? 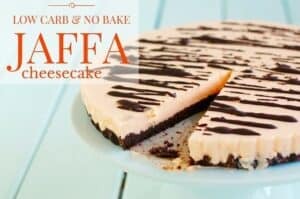 Is there any way to make a no-bake cheesecake with more cream or yoghurt or something instead of water? Otherwise I’ll stick to baked cheesecakes from now on. Hmm, if you didn’t add the essence (vital) or puree the berries (again, vital) no wonder it tasted bleh. I take weeks developing recipes so they work, again and again 🙂 You need to use stick blender, or similar, to get the mixture smooth and it shouldn’t be runny at all. A creamy constancy as per the video. Try it again and I’m sure you’ll have success. 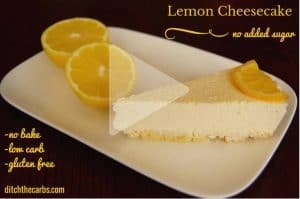 Starting my journey on LCHF … would this lemon cheesecake recipie work well with some crushed frozen raspberries or blueberries stirred through before setting ? Thank you . That would be incredible, what a superb idea! Jelly in other countries doesn’t mean the same as in America. This is a great recipe using “box of sugar-free jello” or gelatin dessert. Made this yesterday, very easy to make, set well. Unsure what sized dish you used to make this as base didn’t seem like enough, as only covered half the pan, so doubled it. All got eaten very quickly. Will definitely make again sometime. Thanks for sharing this recipe. What do you mean by a sachet of jelly? I’ve never heard that term in reference to food before. .
A sachet/box are the same thing. Jelly or jello. Something with gelatine, flavours and sweeteners. Any alternative I can use over WW jelly? Yes, you can use gelatine and sweetener instead, or any other sugar free jelly you prefer. You would also have to use more berries to add flavour. Take a look at my lemon cheesecake where I don’t use jelly sachets any more. This berry cheesecake is an easy recipe, especially for those who are just starting out.